Cancer pain remains undertreated. Pain occurs in over three-quarters of cancer patients and remains one of the most feared aspects of this illness despite the excellent therapies that are available. Cancer pain commonly results from tumor compressing or invading soft tissue, bone, or nerves or from diagnostic or therapeutic endeavors. Optimal pain management involves determining pain intensity, evaluating the etiology of the pain, implementing a carefully considered therapeutic plan, and repeatedly assessing pain relief following therapeutic interventions. The vast majority of cancer pain can be well controlled with therapies readily available to most physicians. These include nonopioid analgesics, opioid analgesics, adjuvant medications, antineoplastic therapies, nonpharmacologic approaches, and neurostimulatory techniques. Regional anesthetic or neurosurgical approaches should be considered in selected patients with persistent pain or unrelieved toxicities from opioids. Nerve blocks can be extremely useful in selected patients with pancreatic cancer pain and thoracic pain in a dermatomal distribution. Referral to an experienced multidisciplinary pain team may be required in situations which are known to pose special challenges in pain management. These may include patients with unrelieved pain, neuropathic pain, episodic or incident pain, impaired cognitive or communication capabilities, or a history of substance abuse. 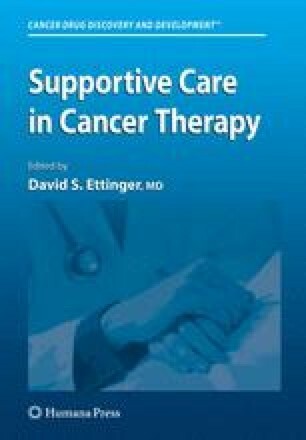 The special challenges associated with the appropriate management of cancer pain include the subjective nature of pain, the complex multisystem involvement in patients with advanced malignancies, and the ever-changing clinical situation in this patient population.